Our product range includes a wide range of golden automotive hot stamping foil, golden paper hot stamping foil, golden plastic hot stamping foil and golden hot stamping foil. 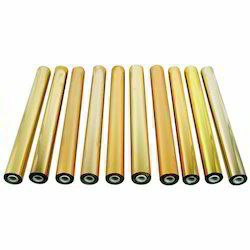 We are prominent names in the industry in offering a wide range of Golden Automotive Hot Stamping Foil. This offered foil has the variety of colors, holographic colors, high resolution, water resistant, superior polishing, excellent initial tack, and smooth surface finish. In addition to this, these are used for stamping, printing and foiling. In order to keep pace with changing trends of the industry, we are offering a quality assured assortment of Golden Paper Hot Stamping Foil. This product is offered in colorful designs and patterns with good brightness and adhesive power. The superposition, interleaving and, compounding of different patterns of these stamping foils can show the fancy and tri-dimensional effect for sightseeing. 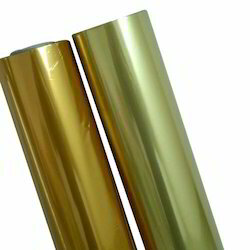 We are offering the high-quality collection of Golden Plastic Hot Stamping Foil to our valuable customers. These foils are ideal for enhancing appeal and appearance of plastic products. Also, it enhances product brilliance with the superior edge defining high-class appearance. Moreover, we offered these products at very reasonable rates. 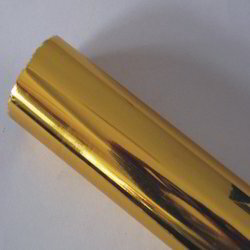 Golden Plastic Hot Stamping Foil have been produced by all types of techniques which are used currently. The wide variety of range available as per the demand of the customer which also includes exclusive prices as per the need and demand of the customer across the nation. Being a prominent organization in the industry, we are offering Golden Hot Stamping Foil to our esteemed customers at very affordable price. 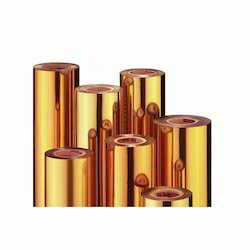 The attractive range of Golden Hot Stamping Foil is highly demandable in the market as it is known to offer numerous advantages over conventional products. By using cutting edge technologies we able to create product efficiently with help of our designers. Apart from this, it can be customized as per the demand of our valued clients. The low price is and added advantage of this product. Looking for Golden Hot Stamping Foil ?